Each business which contributes to the ERBID expects a return on their investment. 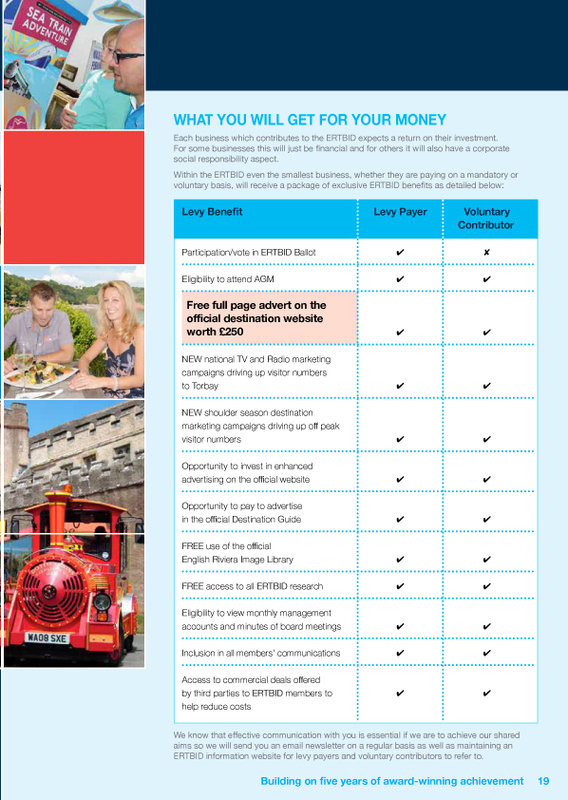 Within the ERBID even the smallest business, whether they are paying on a mandatory or voluntary basis, will receive a package of exclusive ERBID benefits including a full page advert on the official website worth £250. The following eligible businesses as listed below are included in the English Riviera Tourism BID (Business Improvement District) and will be required to pay the annual mandatory levy of 1.95% of your businesses rateable value, with a minimum charge of £150 per annum to apply. 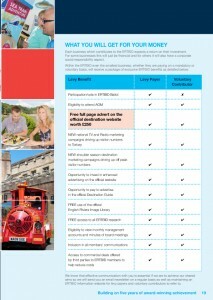 The annual levy will be collected by Torbay Council on behalf of the English Riviera BID Company.